TASTE IT - TASTE IT AGAIN - BUT ALWAYS SPIT IN COMPETITION! 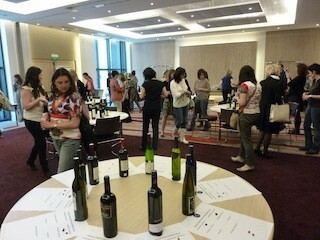 WINNING WINES TASTED IN ALL THEIR GUISES ! After the professional tasting, each year, winning wines only will be also judged for label elegance and packaging. Copyright ((c)) OENOGénius PRODUCTIONS 2003-2018. All reserved rights. To always copy, Some times to imitate, Sometimes plagiarize… But… Always First! Alcohol abuse can make ridiculous. The abuse of alcohol is dangerous for your health. Consume with moderation.